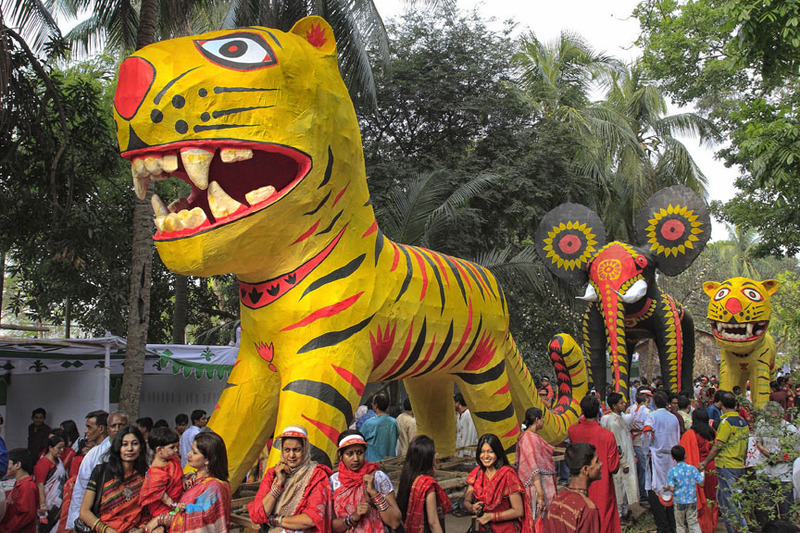 Bengali New Year or Pohela Boishakh, occurring on 14th April, is the first day of the Bengali calendar, celebrated in Bangladesh. 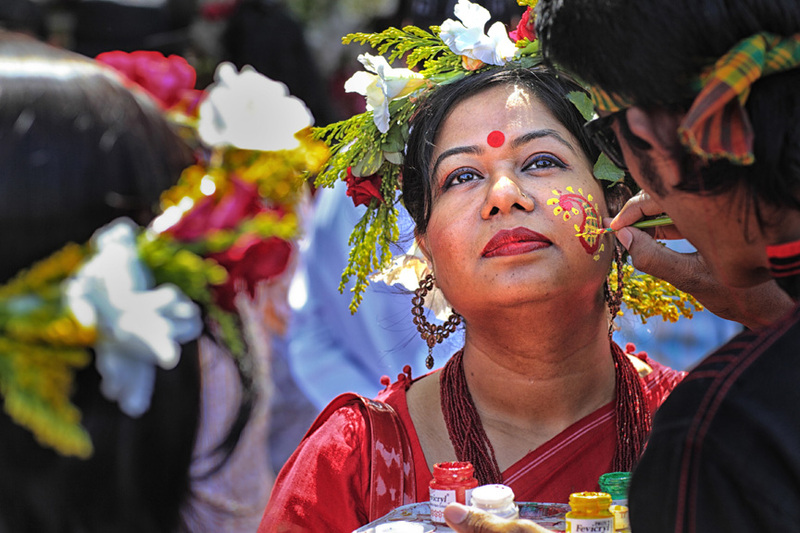 Bangla New Year or Pohela Boishakh connects all Ethnic Bengalis irrespective of religious and regional differences. 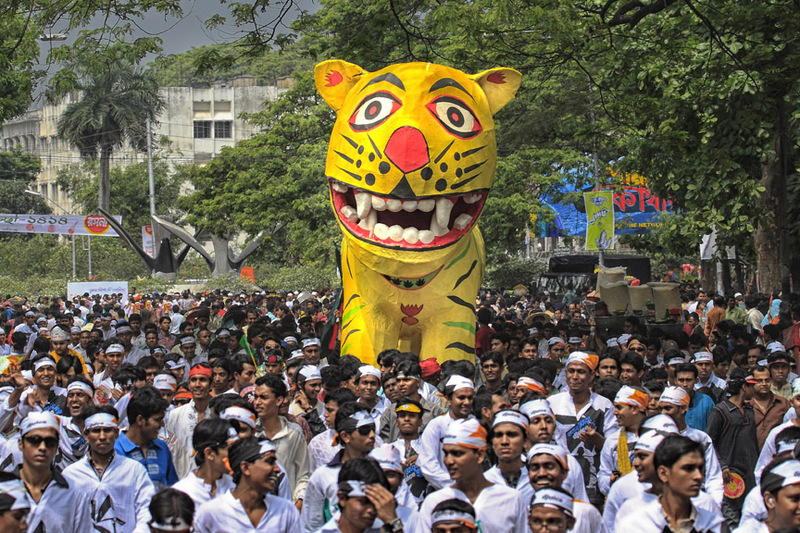 Ethnic Bengalis across the world and from all walks of life unite to celebrate the Public or Universal Festival of Bengalis. 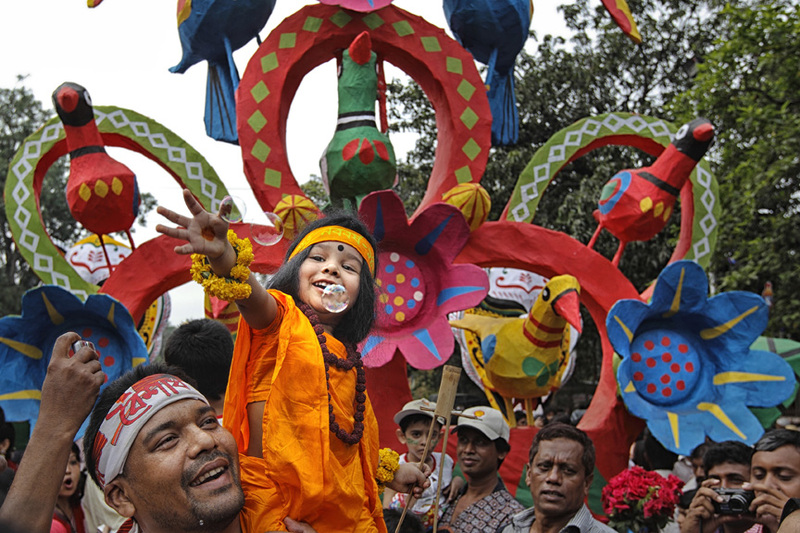 It is celebrated among all Bengalis- irrespective of religious and regional differences. 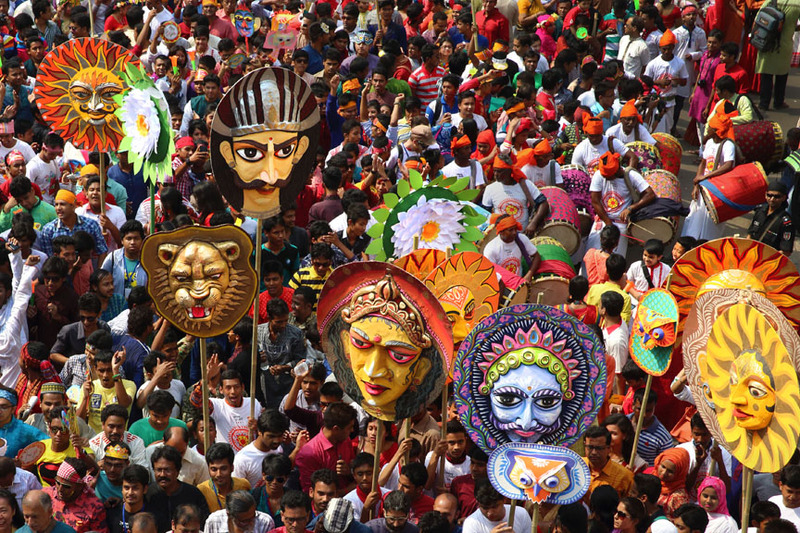 As discussed earlier; the celebrations started from Akbar’s reign. 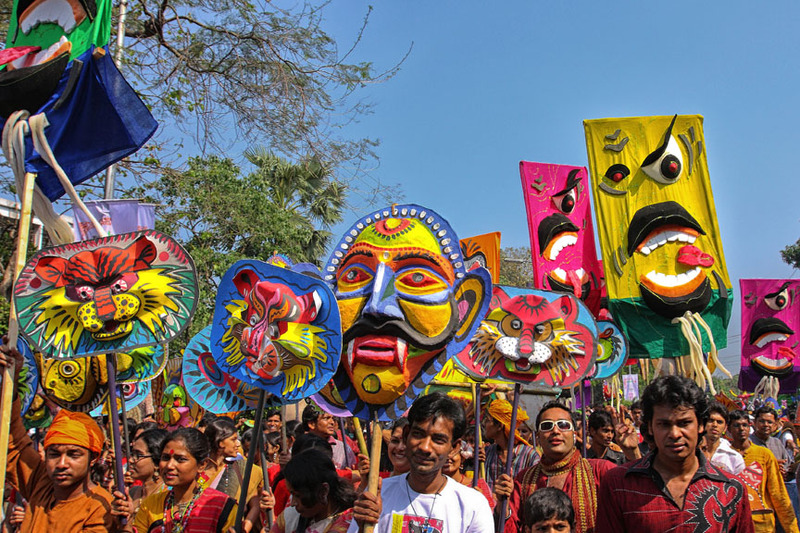 But the Public celebration of Poyela Boishakh and the large-scale organizations of cultural events have started more recently. 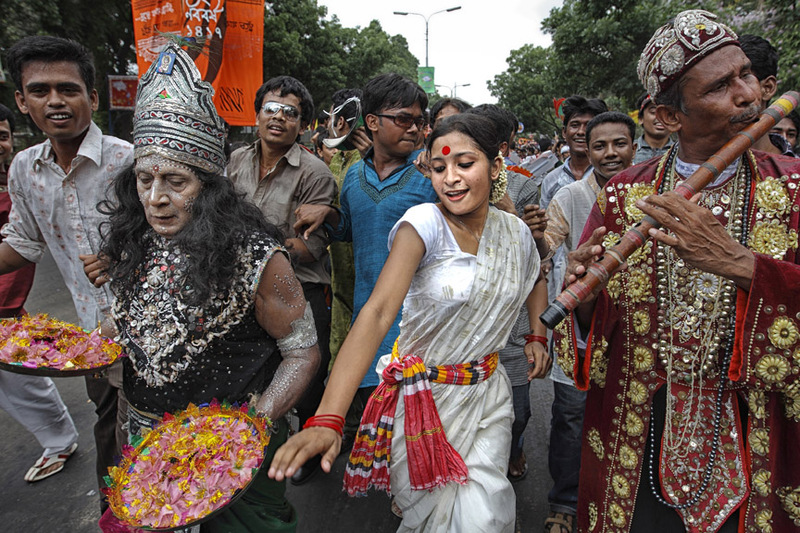 People from all walks of life dress-up in traditional Bengali attire: Men wear dhuti / payejama / lungi and kurta /Panjabi. 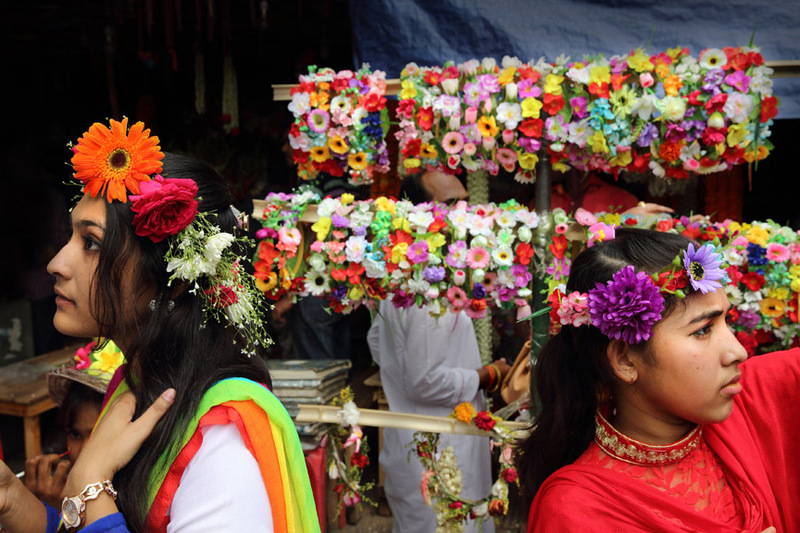 Young women wear white saris with red borders, and adorn themselves with tip (bindis), churi (bangles) and ful (flowers). It’s like a custom to start the day with the traditional breakfast of Panta-Bhat (leftover rice soaked in water), onion, Shobuj Lonka (green chillies), Achar (pickles), dal (lentils) & Bhaja Elish Mach (fried Hilsa fish). 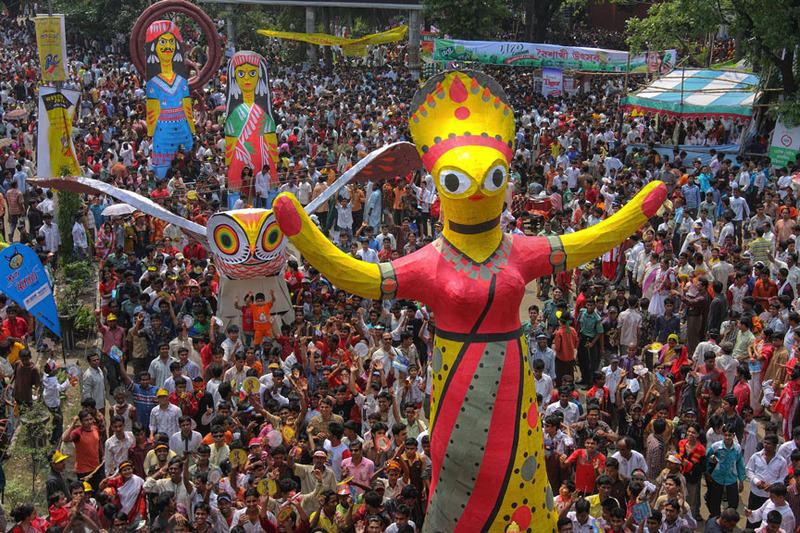 Boishakhi Fairs are organized in many parts of Bengal. 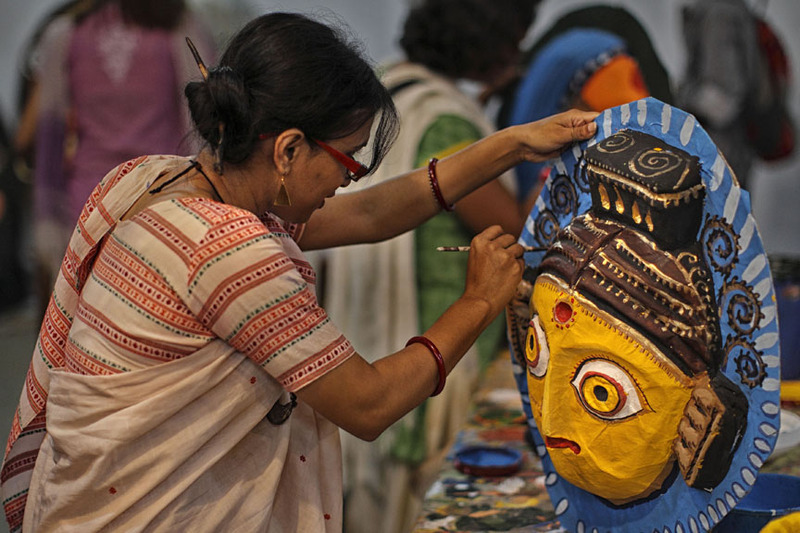 The lifestyle of rural Bengal is showcased in almost all these fairs. 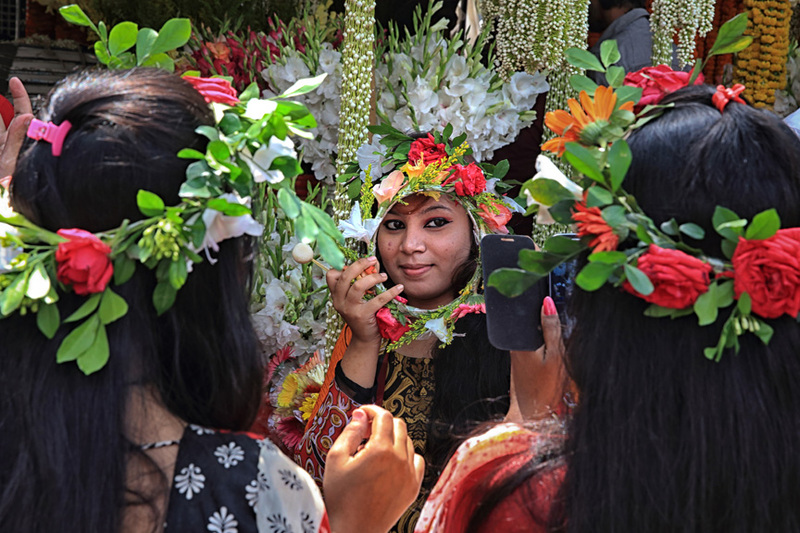 Various traditional handicrafts, toys, cosmetics, agricultural products, as well as various kinds of food and sweets are sold at these fairs. 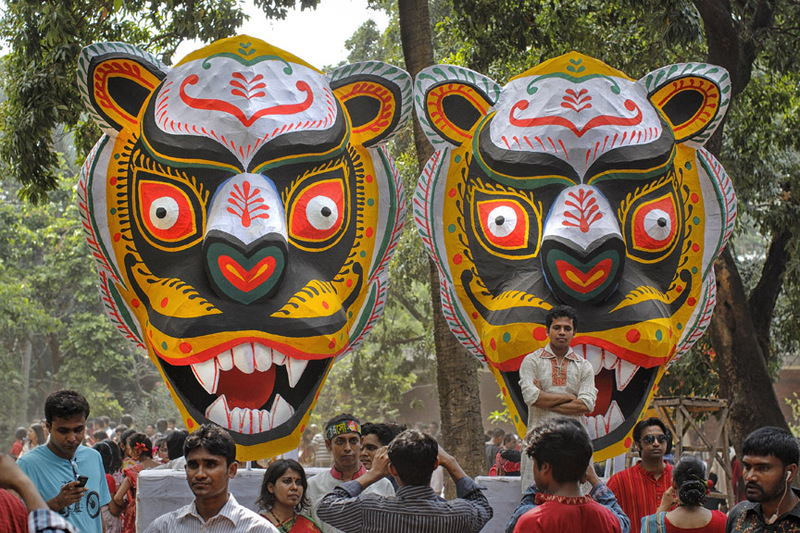 The fairs also provide entertainment, with singers and dancers staging jatra (traditional plays), pala gan, kobigan, jarigan, gambhira gan, gazir gan and alkap gan. They present folk songs as well as baul, marfati, murshidi and bhatiali songs. 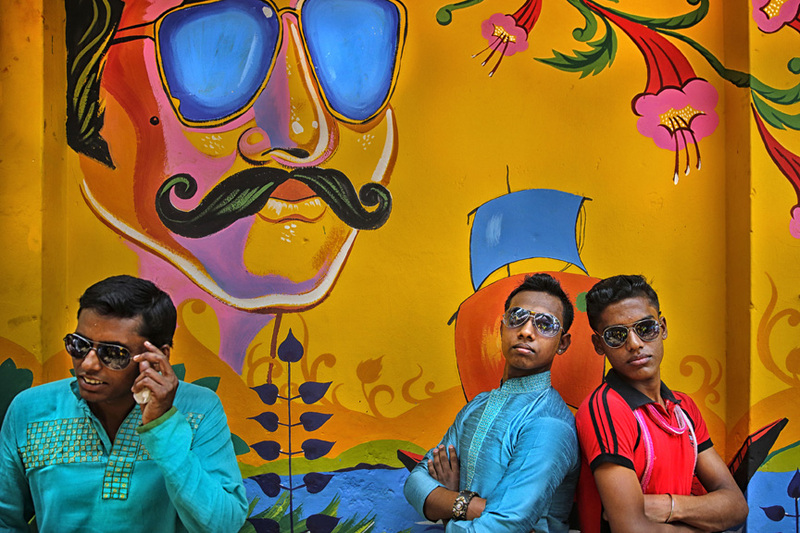 Narrative plays like Laila-Majnu, Yusuf-Zulekha and Radha-Krishna are staged. 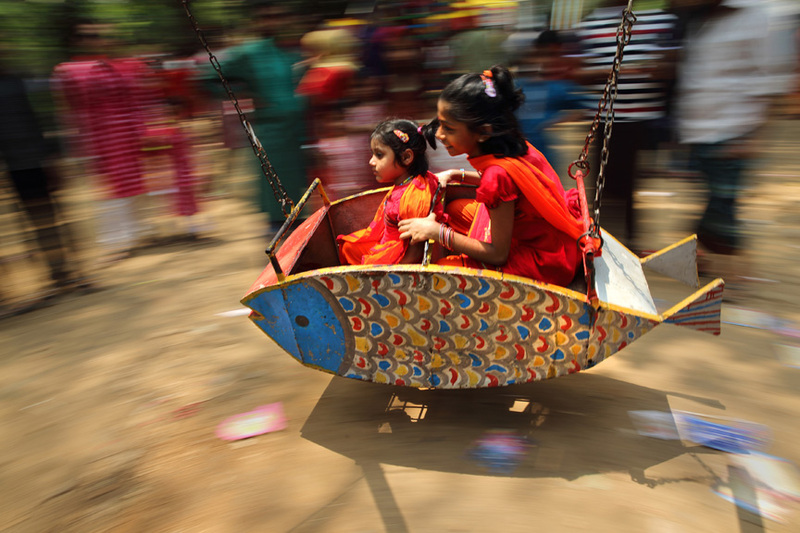 Among other attractions of these fairs are puppet shows, merry-go-round and Giant wheels are also installed and are enjoyed by the children.